Is Marie Kondo’s question, “does it spark joy”, the right question for you? Most of us keep more than we will ever need. This costs valuable storage space, makes retrieval of the items we actually need more difficult and adds to the stress of daily living. The famous Japanese organizer Marie Kondo tells you to ask if the object sparks joy for you. If it does keep it, if not donate it. 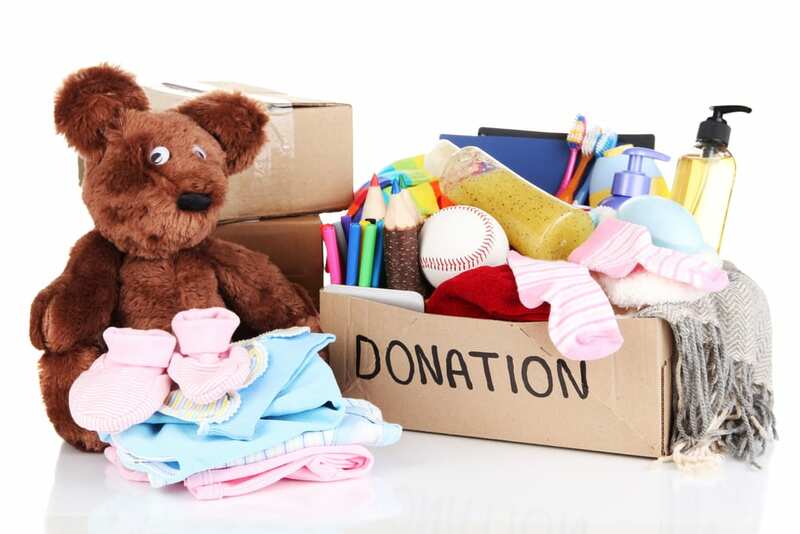 Sometimes that question doesn’t solve the dilemma if you should keep something or donate it. The following questions might be more helpful when you ‘re making those decisions. Are there any tax or legal reasons for keeping this? Can I easily get a copy elsewhere? Does someone else have this information? Can I identify a situation in which I would ever refer to this information? Is it still relevant to my life? What are the implications if I didn’t have this? 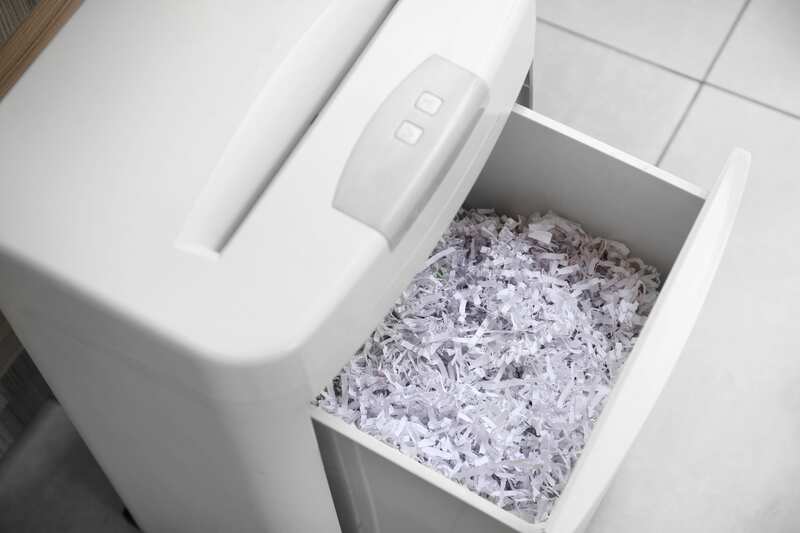 Shred papers that contain personal information. Is it out of style, the wrong size or colour or mismatched? Does it still work? Do I have all the parts? When was the last time I used this item and when would I need to use it in the foreseeable future? If it is something I use rarely, could I borrow one from someone else? Do I use it often enough to make it worth the cost to store it? Do I have more than one? Do I need more than one? Has the collection outgrown the space or the container originally allocated to storing it? Has the collector outgrown the collection? Is it the best of the best? If you died tomorrow, your loved ones would have to deal with everything you left behind. What would they really want to see left? Give yourself permission to let go of things. Don’t let the fear of making a mistake cause you to keep things you don’t need, love or use. 1. Set aside a specific time and stick to your plan. Schedule blocks of time from 15 minutes to two hours until the project is done. 2. Set the mood to keep your spirits up. 3. Take care of your body by eating well and drinking and drinking lots of water. 5. Put items in their proper place, like with like. 6. Stay focused, work in one area at a times and don’t leave the room. 9. Put new things away the day you receive them. 10. Purchase things only if you know what you will use it for and where you are going to put it. 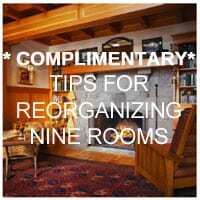 Need some more tips download the booklet Tips for Reorganizing 9 Rooms ( top right corner)and join my newsletter list. Organizing a person with hoarding disorder. 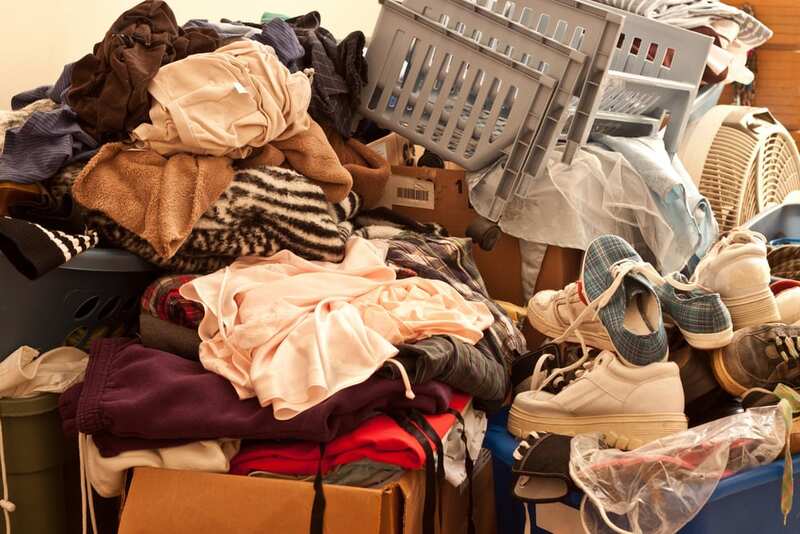 What are the causes of hoarding disorder? Here is a good article on hoarding. Why do people like to live with so much stuff? There is no one easy answer. Some people feel it is part of a mental wellness issue and hoarding has been added to to The Diagnostic and Statistical Manual of Mental Disorders. Others feel it is a learned trait because they see it in families. 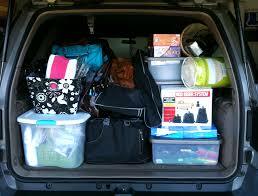 Since people notice hoarding running in families they think it is a genetic trait. A person with hoarding disorder once said to me, when the place was decluttered,”it feels like all my friends are gone.” Applying feeling of love and security to inanimate objects may also account for keeping stuff. Hoarding is not about being messy. Hoarding disorder is a persistent difficulty discarding or parting with possessions because of a perceived need to save them. A person with hoarding disorder experiences distress at the thought of getting rid of the items regardless of the actual value of the items. Rooms and spaces become so cluttered that they cannot be used of their intended purpose. A person with a hoarding disorder won’t be able to sit at their table to eat, might not be able to sleep in their, may not be able to sit on their couch etc because they are filled with stuff. Hoarding is a very complex issue. Seek out information and help to guide you through the process of letting go of things. Where can I find some information? See what working with a professional organizer can do for you? Professional Organizers rub out junk. Where there was once chaos and huge piles of paper, is now a showcase. Thank you Julie! Replace the junk pile with something pretty as I did, then you won’t want to pile junk on that again. Great motivation to keep the filing done! If you have an empty flat surface it sometimes calls to people, “to fill me with stuff.” To prevent that area from becoming cluttered put a large object or two in that spot. It will make the area feel full and then you won’t drop things there. With only 2 larger objects, it is easy to pick them up and dust and clean. If you use a number of smaller items it may make the area harder to clean. Assign a place to put papers that need to be read, filed, signed etc. Place a tray, lovely baskets, eye catching red container etc in a convenient location. Why red? Red is a high energy colour, it increases your heartrate, your eye is drawn to red items. 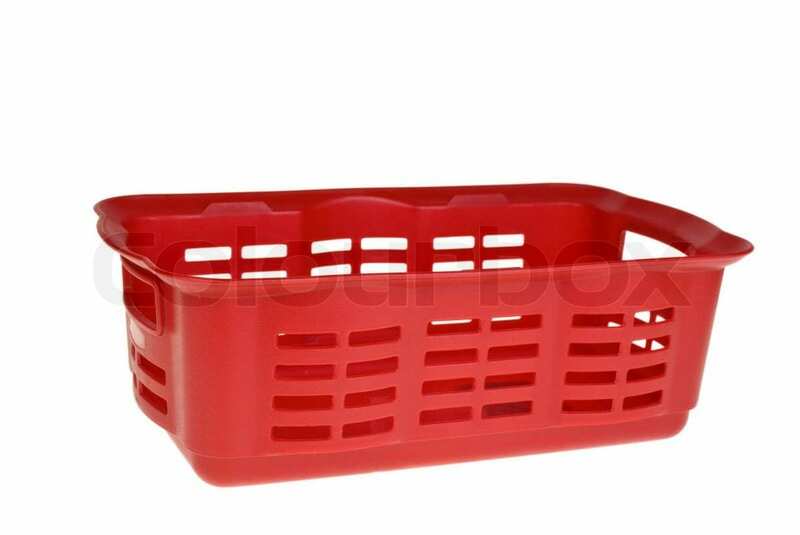 Buy using a red basket it can help to make dealing with paperwork a high priority activity. Keeping paperwork consolidated in one spot makes it easier to find and work with. When paper is all over the office or house it becomes visual clutter, causing anxiety, the release of cortisol and you feel stress. Cut the visual clutter, collect the paper in one spot, and complete the tasks. Piles of paper will continue to build up if you leave them for later. Later will never come. Schedule time to deal with paperwork: schedule time to read, file, and reply to paperwork that generates more work. Schedule these activities according to your level of energy at different times of the day. Scheduling reading after lunch at a low energy time of the day may not be productive but scheduling file after lunch maybe perfect because it gets you up and activity. 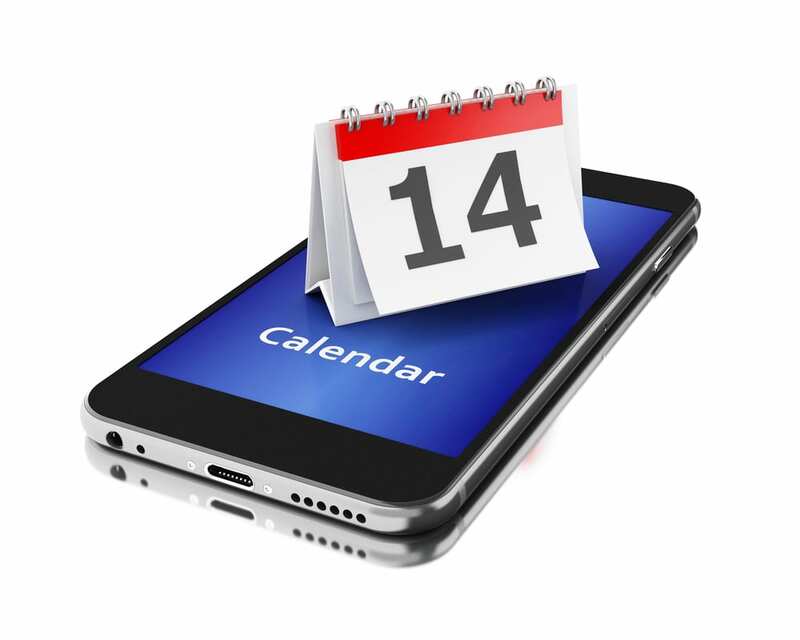 Scheduling time at the beginning of each day to concentrate on work generated by email, letters, documents might work well when you are able to focus on single tasks. Remember not to multi-task. If you’re interested in learning how colour can affect your productivity, this guide is free and you can find it here . What tricks do you use to help you complete paperwork? Julie Stobbe is a Trained Professional Organizer and Lifestyle Organizing Coach who brings happiness to homes and organization to offices, in person and virtually. She enjoys working with her clients to provide customized organizing solutions to suit their individual needs and situation. She reduces distracting clutter, streamlines processes and manages time to help her clients be more effective in reaching their goals. Julie can coach you to break-free of the physical or emotional clutter constraining you from living life on your terms. 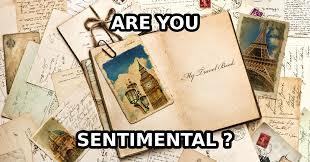 Some people feel very anxious about missing some important news or information. They will save all kinds of article, websites, reviews, newspapers etc. With digitizing information becoming so quick and easy now, many people are putting everything into their laptops, Dropbox, cloud storage. Before you continue to save everything sort through it and keep what you need and love so you will be able to find it again on your device. If you have 11000 photos will you be able to share the one you want to find without becoming overwhelmed and frustrated? If you keep everything you will not be able to locate the information you want. Once again you will feel anxious. It started will worrying about missing out on information and it ends up with having so much information it is useless. The anxiety is still there. It is ok to forget things, in the past you only remembered a few things that were important to you. Most things were forgotten. File it so you can find it. Make folders, files or date tabs so you can find things that you store. Delete duplicate and out of focus photos and file the best photos with a name on the picture. Use meaningful file names to help you set limits on types of material you will store. Avoid file names like, to read, someday, when I have time, next month. When it becomes obsolete delete it. Your interests change, jobs change, where you live changes and the information you have collected is no longer relevant or of interest to you. 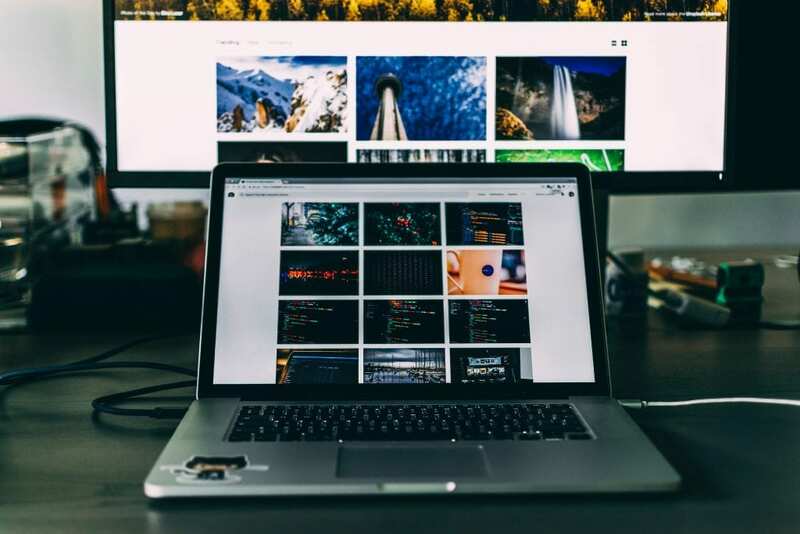 You can search your files to find that type of information but that may take too much time, when you come across files that no longer interest to you, delete them. It is ok. You are changing and growing and you are moving away from past interests. There are a lot more interesting things in your current life, you can let go of the 10 year old information holding you in the past and taking up your time. Look to present and keep moving forward. Click here to read the article Are you a Secret Digital Hoarder? Make your move a successful, low stress enjoyable event. Sporting, theatre, art gallery exhibit, musical event. Give them tickets so it won’t be a gift card that they file or lose. Most performances will allow tickets to be exchanged for a different date. Try giving tickets to a Toronto Rock Lacrosse game. It is an experience, reasonably prices and you get to see the Air Canada Center. You can support your local community by purchasing tickets to a little theatre production, hockey tickets. Give them the gift of entertainment. It can be an hour of ice time, indoor soccer, indoor tennis and indoor golf. This type of gift usually gets people together to socialize and be active. It is a gift of physical and emotional health. You can give lessons to a person. Art lessons, wine tasting, golfing, scuba diving, music, craft, beading, the ideas are limitless. It can be one lesson or a group of lessons. Give the gift of a new experience. Give a gift of a meal, prepared by you for them on a mutually agreed date. You may want to give them a batch of muffins every month or whatever their favourite food is. People enjoy receiving homemade Christmas cookies or a fruit plate. You can go on line and search COOKIES in a Jar. The recipient of the cookie mix adds water or milk and bakes the cookies. Give the gift of sharing your time with others. Someone may enjoy being relieved of performing a tedious job. Arrange for a cleaning service, professional organizer, snow removal, lawn care. Give them the gift of time for themselves. There are many charities that can benefits from donations. Select a charity and make a donation in the name of the person. Look at one aspect of the person’s life and try to find a charity that represents their interests. Give them the gift of generosity. Here are a few gifts that are clutter free, personal and thoughtful but the ideas are endless. On the People in Connection Internet TV show, I discussed Organizing Challenges Unraveled – Storage Solutions. When you are short of storage space in a specific area, there are many products on the market that can give you more. There are a number of over the door hanging products found in stores such as Walmart and Canadian Tire. There are over the door hooks to use for hanging coats, clothes, towels, purses, belts as well as over the door rings for hanging tea towels, hand towels and paper towels. There also is a great product that has 5 pockets /shelves that are about 6” deep, which could hold shoes, office supplies or laundry supplies. Using over the door hanging products makes installation easy and quick and you don’t need to put holes in your walls. There are magnetic products that can be used to make storage space on metal appliances such as your refrigerator, filing cabinet or washing machine. One is a rack with 3 slots to hold papers, magazines etc and a filing pocket to hold file folders. They are available at office supply stores like Staples. There are unlikely places in the home that can be turned into great storage areas. Under the staircase can be lined with cedar to become a storage area for clothes or bedding. It can be fitted with a bar to hang clothes or shelves for storing containers. Using pieces of furniture is a great way to make additional storage spaces. A simple chest of drawers can be used in an entrance way to store hats, mitts, pets’ leashes, keys etc. An antique dining room buffet with drawers can be used to store CDs and DVDs. Two drawer filing cabinets can be used as a night table in a child’s bedroom holding books and toys and later used for school work as the child matures. When you need to make space to store items think outside the box, many spaces can be used to creatively and attractively store the things you need and love. Let me know your tricks to help you stay organized. 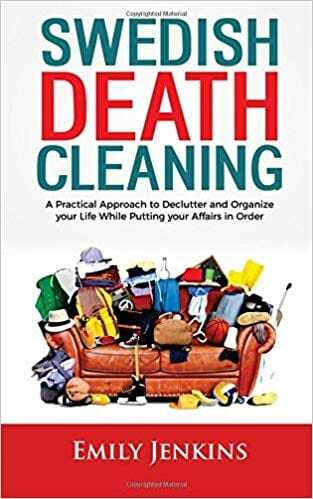 Why do I have clutter, how can I let it go? Clutter is different for everyone but most people have some clutter in their lives. There are many reason why it can be hard to let go of things. Let’s look at 4 scenarios. As you sort through your items notice the thoughts that come up and begin to acknowledge them, say okay now you’ve got my attention. 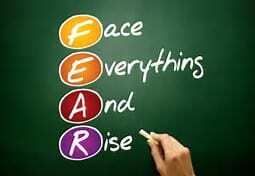 Notice where you feel the fear in your body, stomach, chest head ache? I’ll keep it just in case – replace it with what are the odds I’ll ever need to replace it? I have clients who if they touch an object they will automatically keep it, so I hold up the object and don’t let them touch it when they are deciding to keep it or give it away. 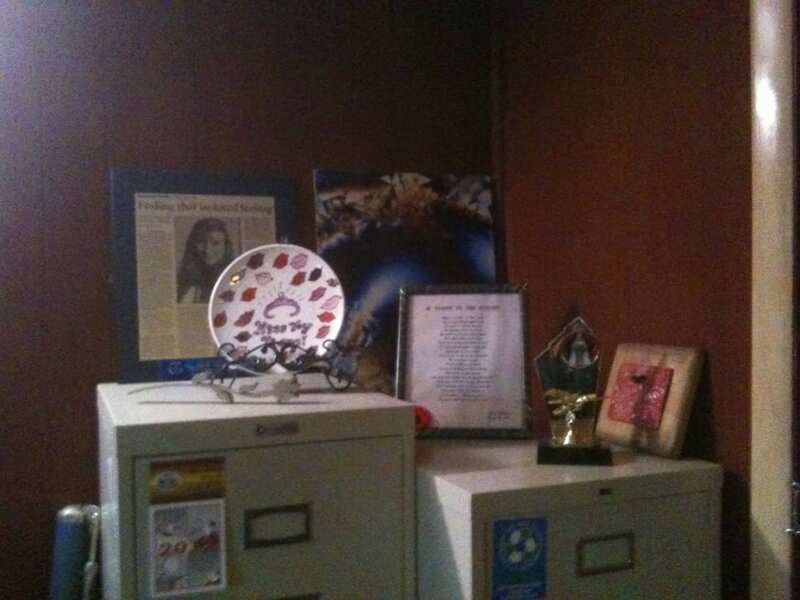 Other clients need to touch an item before they can donate it, it is like saying good by to it. Being able to separate the object from a person or event can be difficult . Learning that you can still have the memory and the corresponding feeling without having the object will help you to be able to let go of items. Clients will hire me and want me to do their plan. As I work with them and make a few suggestions about alternative ways to organize things generally they say no and then at our next appointment they usually say I thought about your idea, let’s try it. 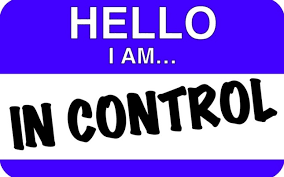 People want to have control over their decisions and environment. Avoiding power struggles over decisions about what stays and what goes and make decluttering easier. 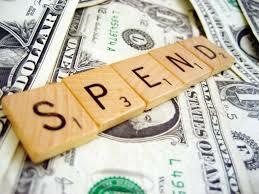 PSSST: The money is already spent…..
Just because it was costly to purchase does not mean that it’s valuable today! Items change in value. What’s important is whether you are using what you have now or, if what you have is distracting you from the lifestyle you want. If you are not loving, using and enjoying your things, reconsider their ‘value’. The important thing is to discover what reasons make it hard for you to let go of things and change those mindsets. One day we will part with our stuff.